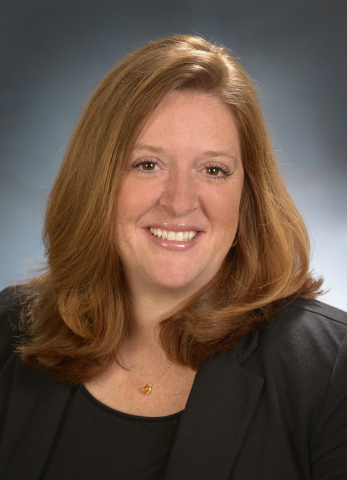 Pepco Holdings, Inc. (PHI) Director of Customer Communications and Marketing, MaryBeth Vrees, is the 2014 PR News, MARCOM Professional of the Year. Pepco Holdings, Inc. (PHI) Director of Customer Communications and Marketing, MaryBeth Vrees, is the 2014 PR News, MARCOM Professional of the Year. The top award for marketing and communications professionals at corporations, agencies and nonprofits is presented annually by the national publication known as a premiere resource in the public relations industry. PR News recognized Vrees, a Massachusetts resident, for her leadership, dedication and innovative strategies during the dramatic reputation turnaround at PHI since she started in 2011. The regional holding company provides utility service to about two million customers in mid-Atlantic states and the District of Columbia. "This honor is a tribute to the motivated team of communicators at PHI and it reflects the hard work of everyone who dedicated countless hours to improving reliability and satisfaction for our customers," Vrees said. "Our marketing advertising strategy is heavily based on real people doing real work and PHI employees gave us a great story to tell." In 2014, Vrees directed major improvements to PHI's digital media presence, culminating with this year's launch of four new, seamlessly-linked company websites that are customer focused. Over the next five years, PHI expects to spend $6.6 billion on additional investments to further improve reliability and customer service which will include replacing aging infrastructure and installing advanced technologies. PHI announced a merger agreement with Exelon Corporation in April that is currently going through the regulatory approval process. The merger will further the significant system reliability progress already underway at PHI utilities. Both companies have committed to continuing their long tradition of philanthropy in communities they serve.